Steve Paul, owner of the Test Drive Technologies inspection service in the St. Louis area, said he issued a written report for the company in August 2017. It explained why the boats' engines — and pumps that remove water from their hulls — might fail in inclement weather. He also told the Associated Press that the tourist boats' canopies make them hard to escape when they sink — a concern raised by regulators after a similar sinking in Arkansas killed 13 people in 1999. The accident Thursday evening on Table Rock Lake outside the tourist town of Branson also is raising questions about whether storm warnings in the area went unheeded and whether any agency can keep boaters off the water when inclement weather approaches. "If you have the information that you could have rough waters or a storm coming, why ever put a boat on that water?" Paul said. A witness' video of the duck boat just before it capsized suggests that its flexible plastic windows might have been closed and could have trapped passengers as the hybrid boat-truck went down. It does not show passengers jumping clear. "The biggest problem with a duck when it sinks is that canopy," Paul said. "That canopy becomes what I'll call a people catcher, and people can't get out from under that canopy." A spokeswoman for Ripley Entertainment, the company operating the duck boats in Branson, did not respond Saturday to telephone and email messages seeking comment. Spokeswoman Suzanne Smagala has noted that Thursday's accident was the only one in more than 40 years of operation. 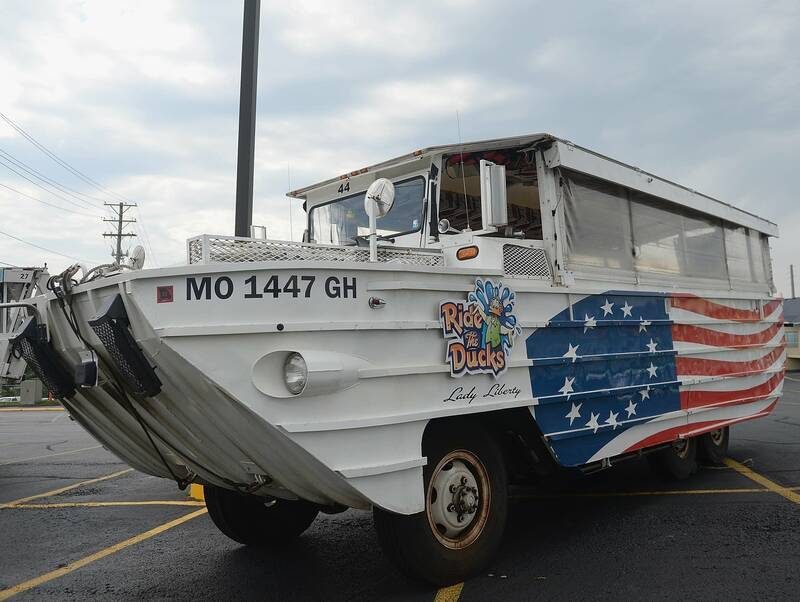 An archived version of Ripley's website said it operates 20 duck boats in Branson and described them as "built from the ground up under United States Coast Guard (USCG) supervision with the latest in marine safety." 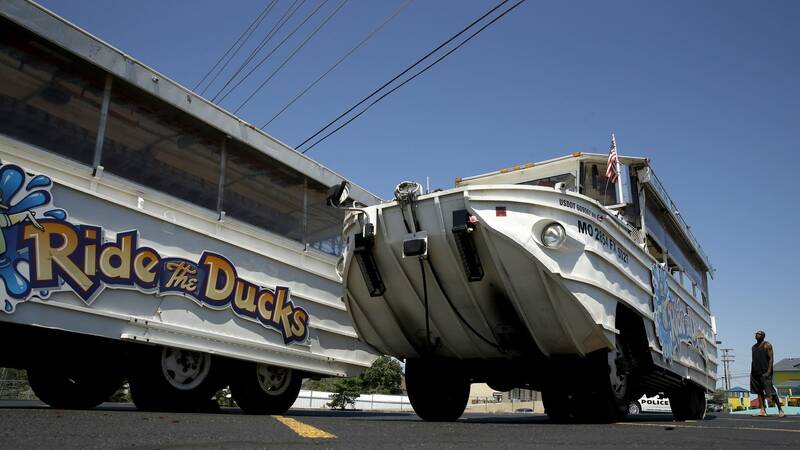 In central Wisconsin, Original Wisconsin Ducks in the Dells has no plans to change how it operates after 73 years of safe rides, general manager Dan Gavinski said. But his company operates World War II-vintage boats, not the modified modern version. Since 1999, duck boats have been linked to the deaths of more than 40 people, with a troubled safety record on the road and water alike. Their height can obscure cars, pedestrians or bicycles from a driver's view, and maintenance problems can be severe. Paul said he won't know until the boat that sank is recovered from the lake whether it's one of the two dozen he inspected for Ripley Entertainment in August 2017. The U.S. Coast Guard said the boat that sank was built in 1944 and had passed an inspection in February, The Kansas City Star reported. But Paul said the boat would have been heavily modified to make it longer so that only part of it dates to World War II. He said it would still have the design flaw he identified in his report. He declined to share a copy of his report with the Associated Press but said he said he is willing to make it available to authorities. "I'm sure eventually it will be subpoenaed," he said. Paul said the duck boats he inspected — which the company had just purchased or repaired — vented exhaust from the motor out front and below the water line. He said in rough conditions, water could get into the exhaust system, and then into the motor, cutting it off. With the motor off, he said, its pump for removing water from the hull would not operate. "If you watch that video, that water is definitely being slammed up into that exhaust without a doubt," Paul said. After the deadly sinking in Arkansas in 1999, the National Transportation Safety Board recommended doing away with the canopies and adding more floatation capacity so duck boats could remain upright and keep floating even if they took on water. The industry took little heed, said Robert Mongeluzzi, a Philadelphia attorney who has represented victims of duck boat crashes. The canopies can protect customers from rain or sun, he noted, and closed windows allow companies to heat the cabins, extending operating hours. The NTSB called the industry's response to the recommendations disappointing, saying companies cited the cost of engineering and installing additional flotation capacity as prohibitive. "The duck boat is notoriously unstable and unsuited for what they were attempting to do with it," said Daniel Rose, an attorney whose New York-based law firm has represented victims in several accidents. "It tries to be a boat and a car and does neither, really, except under ideal circumstances." State officials said the Coast Guard regulates such craft; its officials did not immediately respond to requests for more information. Spokesmen said the Department of Transportation doesn't regulate duck boats because they're amphibious, and the Department of Public Safety doesn't in this case because it's a commercial vessel, as opposed to a recreational one. It's also not clear that any agency had the authority to keep boats off the lake. The U.S. Army Corps of Engineers built it in the late 1950s, but its officials said they don't have such authority. Witnesses have said the weather appeared calm before a storm suddenly whipped up strong waves and spray. "This storm didn't come out of nowhere," she said. "That is what pains me. I feel like we did everything, at least we tried to do everything, by the book as meteorologists and we still had this horrible tragedy on our hands."